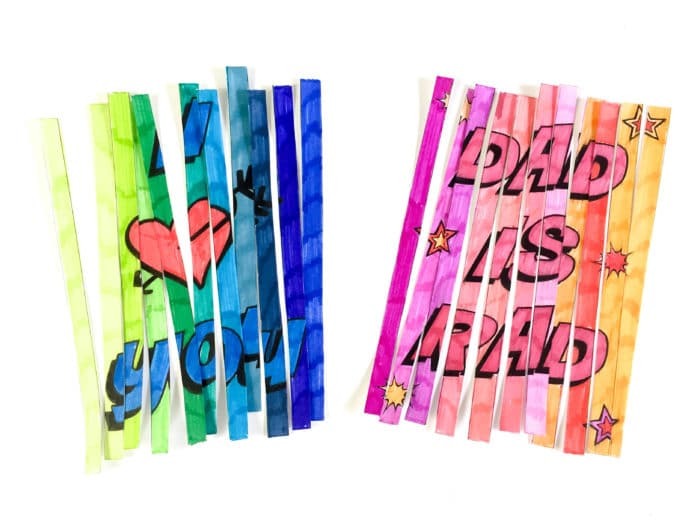 Dad will love your creativity with these super fun Agamograph Printable Fathers Day Cards. Its that time of year to celebrate all the Dad’s. I am extremely blessed in the Dad compartment. My Dad, my Baby Daddy, my Grand Dad (Grandpa) and my Dad-in-Law are all incredible father’s and show us all every day what it is to be an extraordinary Dad. Not to get too sappy, but the world needs more Dad’s like my blessed group of fellas I have because every child should feel the love of a Dad (or Father Figure). I can’t imagine my life without them. 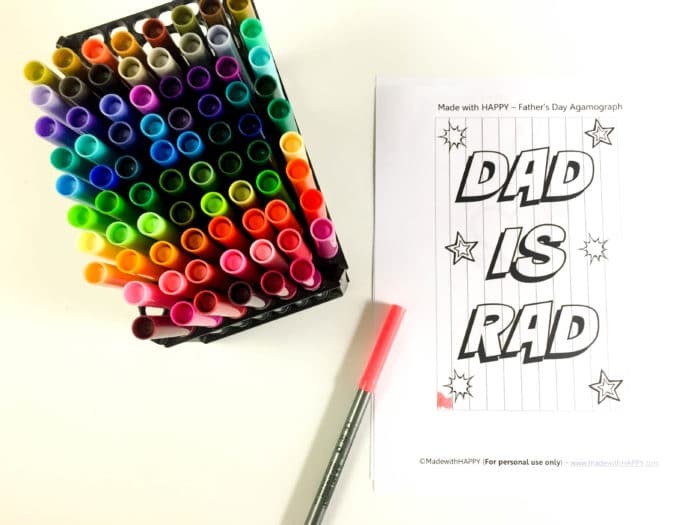 Okay, so I’m totally crying now thinking about all the blessing and love I have and really I should be talking about this super cute and fun Printable Fathers Day Cards. 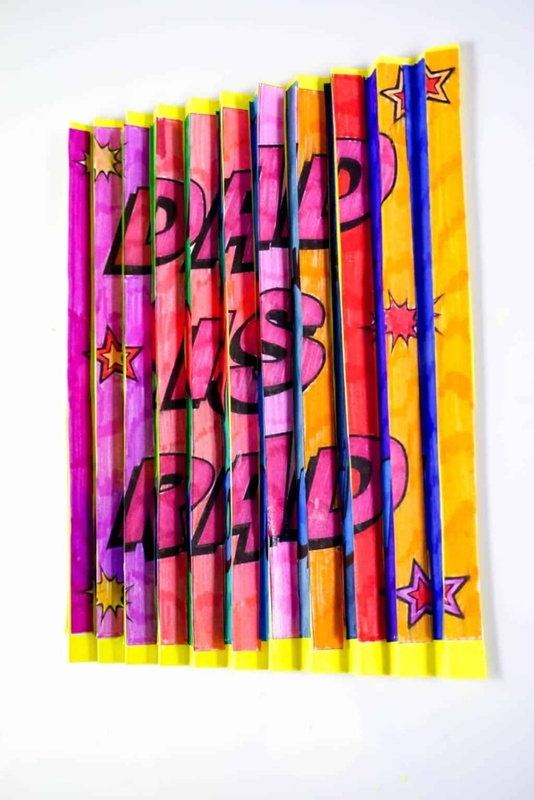 We love to empower you all to create fun and personal gifts and cards and so Father’s Day seems like the perfect time to show Dad how Rad he is with this super cute and fun Agamograph Card. That’s word is a mouth full and I’m going to be real, I don’t even know if I’m saying it correctly. Agamograph is a type of kinetic art named after Yaacov Agam, and Israeli sculptor. It is a series of images that change depending on the angles you view them from. 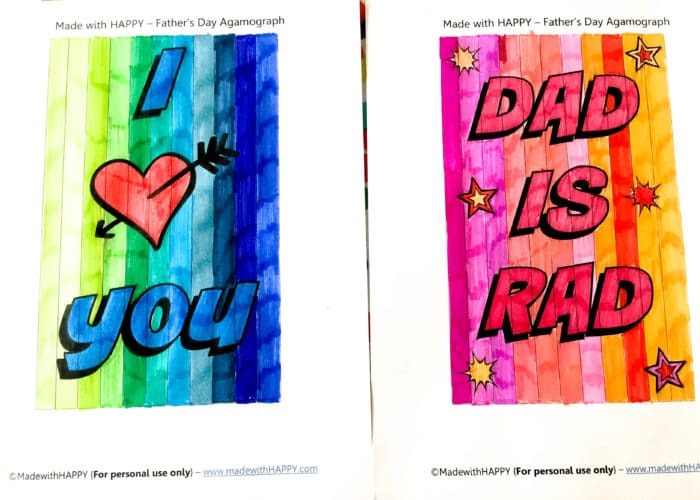 We’re loving agamograph cards and decided to create our own for Father’s Day. 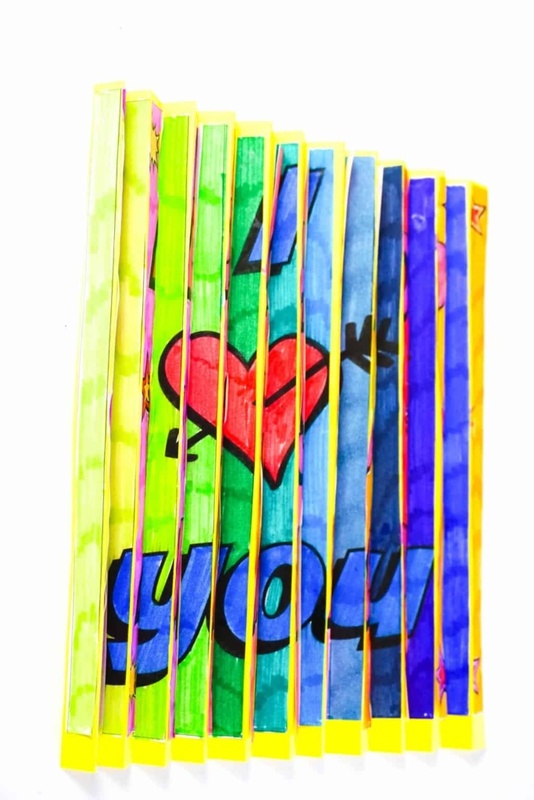 I even had my daughter’s class make them for art. So fun. In any case without further adieu, here is how you do it. 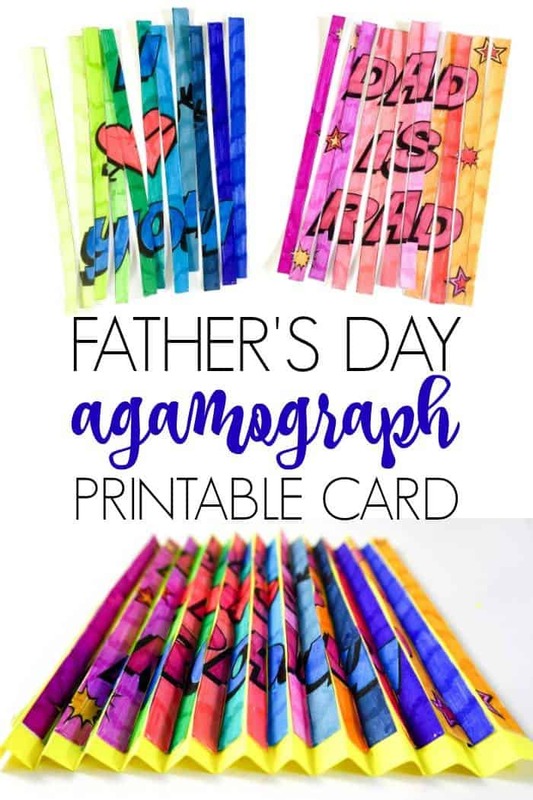 Start by printing out your agamograph and coloring it in. 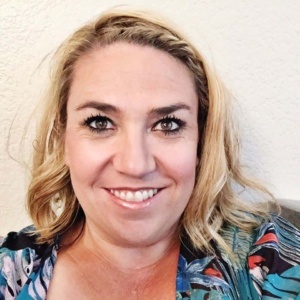 I have a thing with all things color, ombre and rainbows as you may know and so we did one picture with cool colors and one with warm. Next, cut each out and each strip along the printed line, making sure to keep the strips in place so you know the order. 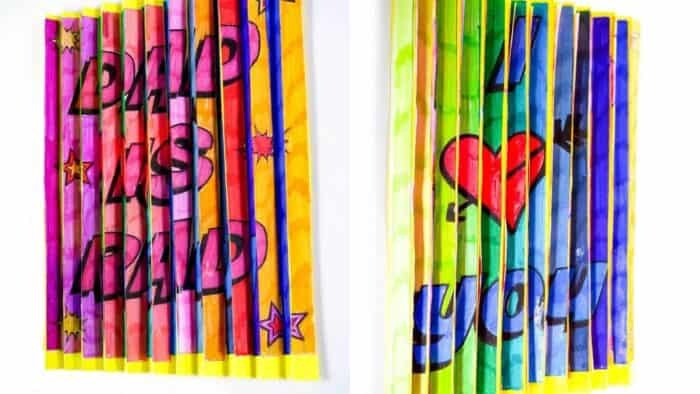 Then on your construction paper, cover it with glue. 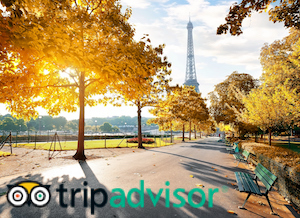 Starting on the left side of both pictures, you place each strip alternating between picture one and picture two like the picture above. Let your picture dry. 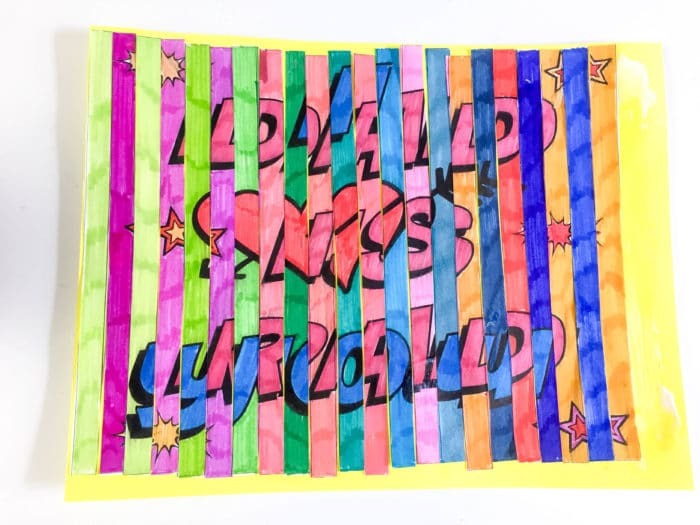 Once the picture is dry, fold your picture in an accordion like fold between each of the strips. Viola, you have a awesome Father’s Day Card.